CDC, public health and regulatory officials in several states, Canada, and the U.S. Food and Drug Administration (FDA) are investigating a multistate outbreak of Shiga toxin-producing Escherichia coli O157:H7 (E. coli O157:H7) infections linked to romaine lettuce from the Central Coastal growing regions in northern and central California. Additional counties may be added as the FDA traceback develops. At this time, no common grower, supplier, distributor, or brand of romaine lettuce has been identified. 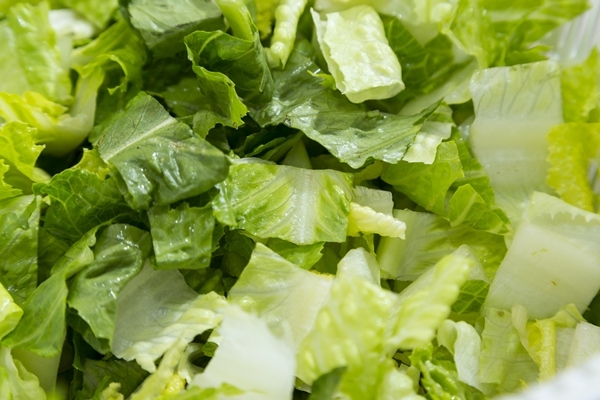 CDC is advising that U.S. consumers not eat any romaine lettuce, and retailers and restaurants not serve or sell any romaine lettuce harvested from the Central Coastal growing regions of northern and central California. If you do not know where the romaine is from, do not eat it. > Consumers who have any type of romaine lettuce in their home should not eat it and should throw it away, even if some of it was eaten and no one has gotten sick. > Restaurants and retailers should check the label on bags or boxes of romaine lettuce, or ask their suppliers about the source of their romaine lettuce. > Do not sell or serve any romaine lettuce harvested from the Central Coastal growing regions of northern and central California. > If you do not know where your romaine lettuce was harvested, do not sell or serve it. - Talk to your healthcare provider. - Write down what you ate in the week before you started to get sick. - Report your illness to the health department. - Assist public health investigators by answering questions about your illness. > As of 11/30/2018, no Idaho residents have been associated with this multi-state E. coli outbreak. For state-by-state case information click HERE. E. coli O157:H7 is a type of bacteria that can cause bloody diarrhea, severe abdominal cramps, vomiting and low-grade fever.E. coli infection is usually diagnosed by testing a stool sample. - People usually get sick from Shiga toxin-producing E. coli 2-8 days (average of 3-4 days) after swallowing the germ. - Most people infected with E. coli develop diarrhea (often bloody), severe stomach cramps and vomiting. - Most people recover within one week. - HUS can occur in people of any age but is most common in young children under 5 years, older adults, and people with weakened immune systems. - Symptoms of HUS can include fever, abdominal pain, pale skin tone, fatigue and irritability, small, unexplained bruises or bleeding from the nose and mouth, and decreased urination. - People who experience these symptoms should seek emergency medical care immediately.